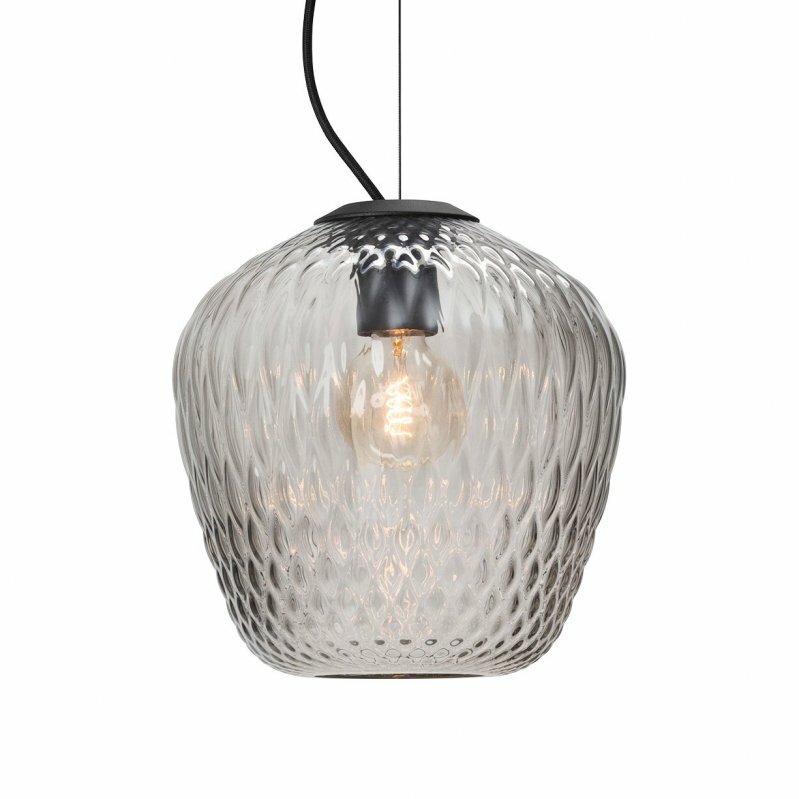 Lustre Light Round is a stoneware pendant lamp with natural and simple beauty, designed by Tom Dixon. 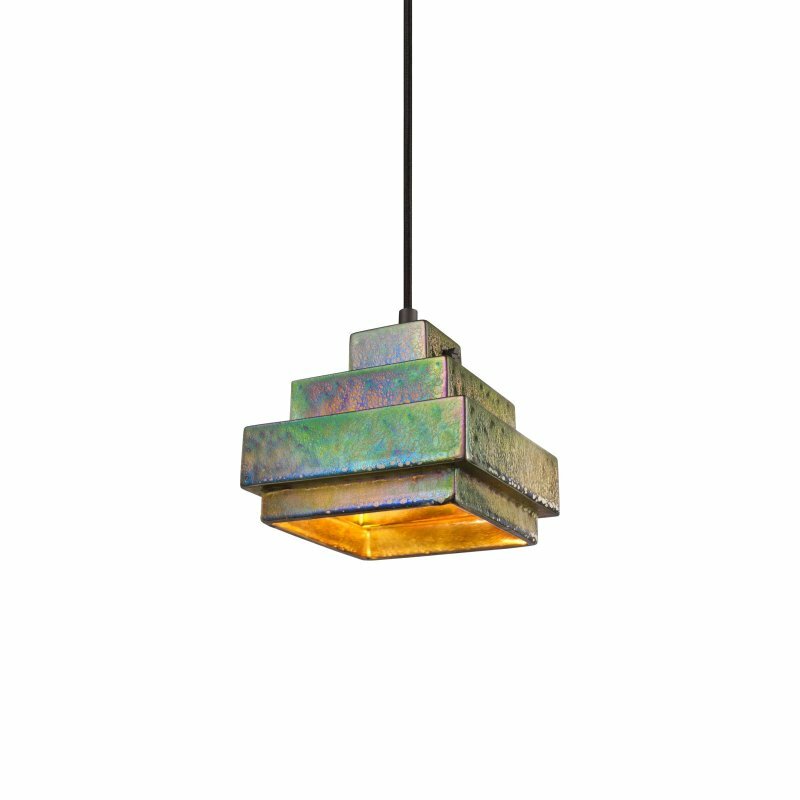 A series of four stoneware pendant lights, handmade in a Dutch family-run factory. 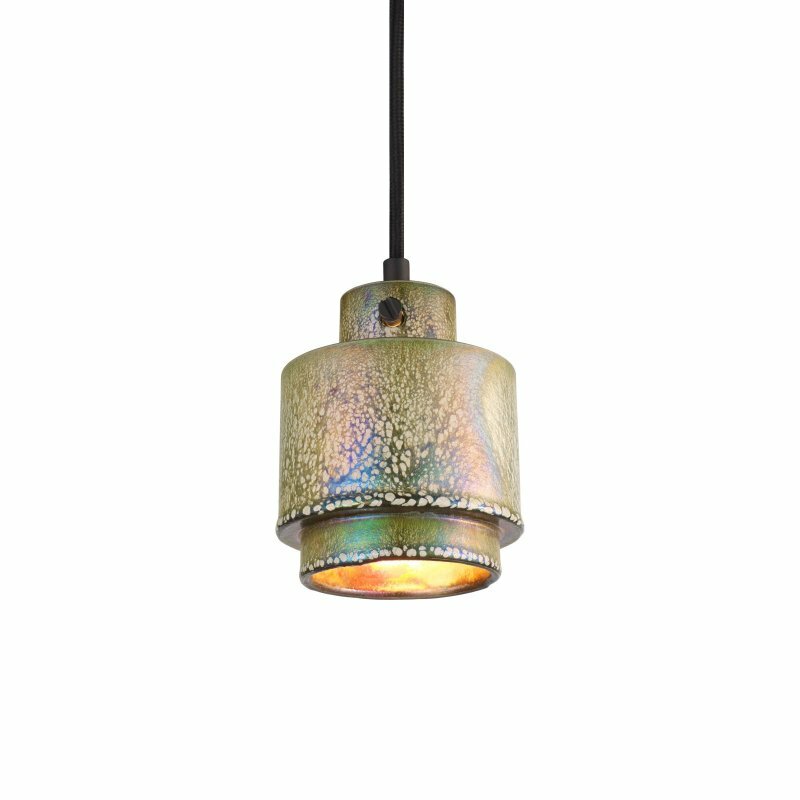 Hand formed from stoneware, the iridescent sheen is created using a top-secret glaze containing minerals and precious metals. This results in a totally unique and unrepeatable finish for each individual object. No two shades look the same because the glaze fixes to the stoneware in an unpredictable way. This produces a wide spectrum of color across the series, ranging from a pale lime to a deep bottle green.